Laid down, 14 August 1944, as MV Stevedore Knot, a Maritime Commission type (R1-M-AV3) hull, under Maritime Commission contract (MC 2332) hull at Pennsylvania Shipyards, Inc, Beaumont, TX. Returned to the Maritime Commission, 8 January 1946, for lay up in the National Defense Reserve Fleet, Suisun Bay Group, Benecia, CA. 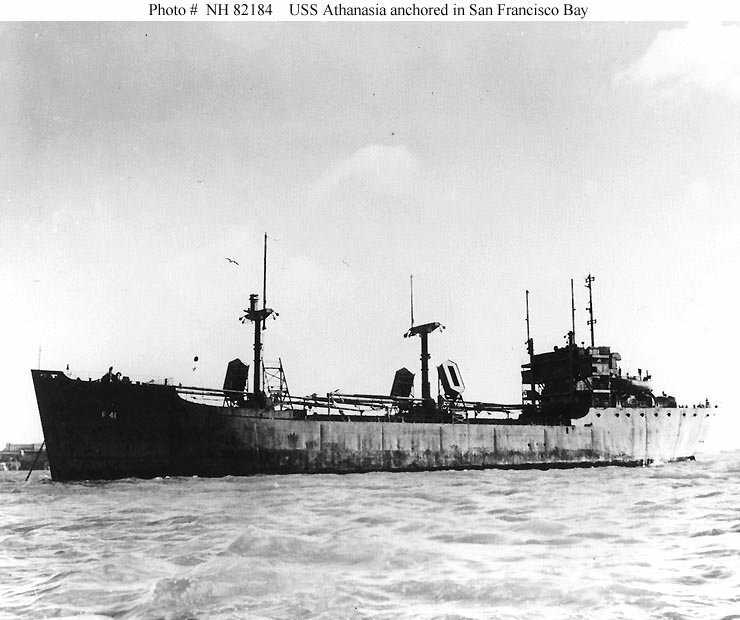 76k USS Athanasia (AF-41) anchored in San Francisco Bay, CA., circa 1945.